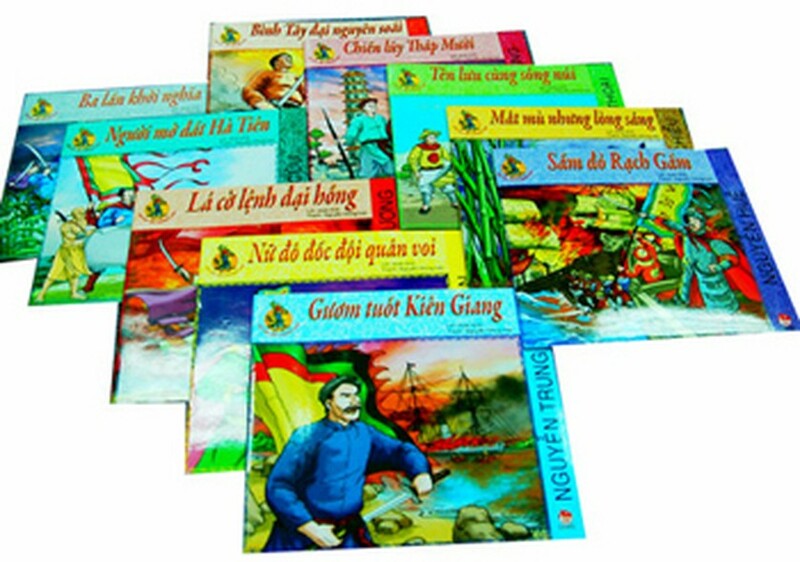 To help Vietnamese children gain knowledgeable about southern Vietnamese history, Kim Dong Publisher recently introduced a set of comic books titled “Hao kiet dat Phuong Nam” (southern heroes). The series features characters closely tied to the area since late 16th century, when the Lord Nguyen Hoang began extending the country’s territory southward. The company plans to publish 20 volumes, each focusing on a specific hero. Ten books have been completed thus far, with stories about Truong Dinh, Thien Ho Duong, Nguyen Hue, Nguyen Trung Truc, Bui Thi Xuan, Nguyen Tri Phuong, Mac Cuu, Thu Khoa Huan, Nguyen Van Thoai and Nguyen Dinh Chieu. 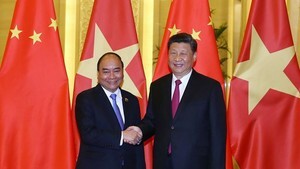 It is expected that the remaining volumes will be about Nguyen Huu Canh, Nguyen Phuc Tan, Nguyen Phuc Nguyen, Tran Quy Cap, Tran Cao Van, Nguyen Thong, Phan Xich Long, Mai Xuan Thuong and No Trang Long, who made great contributions to enlarge the country’s territory in the south and fought against the French. Author Hoai Anh is in charge of writing narratives, while Artist Nguyen Dong Hai is responsible for the books’ illustrations. Poet Cao Xuan Son, editor of the books, said that to ensure the historical content while remaining attractive to children, Anh has chosen most exciting details about each character as the basis for the stories. For instance, in the volume “Chien luy Thap Muoi,” about Thien Ho Duong, Anh focused on a scene in which the insurgent army used leeches and mosquitoes to battle French troops. One of the plotlines of “Binh Tay Dai Nguyen soai,” about Truong Dinh, details the scene where French troops load artillery onto small boats in order to attack the insurgent army. Publishers hope that “Hao kiet dat Phuong Nam” will attract juvenile readers, contributing to improving knowledge about the country’s history among the younger generations.